Republican challenger Thomas McNutt lost to Byron Cook in 2016, and Matt Beebe couldn't topple Joe Straus in two attempts. They're running again this year, but with those two powerful incumbents out of the way. If the gavel-wielding silhouette of retiring Texas House Speaker Joe Straus will be the most conspicuous absence when the Legislature reconvenes in 2019, the empty chair of House State Affairs Chairman Byron Cook might well be the second. Both are moderate Republicans, sometimes hailed as a dying breed in Texas, who said on the same day last October they’d step down after more than a decade each in the House. Both are credited with — or, depending on who you ask, blamed for — blocking the 85th Legislature’s most controversial measure, a failed “bathroom bill” that would have regulated transgender individuals’ use of certain public facilities. And in past elections, both have successfully fended off well-funded challenges from the right. This year, two of those challengers are back to try their hands again, hoping they’ll have a better chance at those seats with two of the House’s most powerful incumbents out of the way. One of them is Thomas McNutt, who in 2016 lost to Cook by just 225 votes in a race of nearly 29,000 — a margin of less than one percentage point. He’s taking on Cody Harris, a local real estate broker who boasts that he has deeper ties to the district. Fighting for Straus’ seat are Tea Party-aligned small business owner Matt Beebe — who lost to Straus in 2012 and 2014 — and business attorney Steve Allison. Even four years after their last face-off, there was enough tension between Straus and Beebe to fuel an April Fools’ Day endorsement gag that Straus had backed his former foe; Straus announced his support for Allison a few weeks later. Both seats are likely to stay in Republican hands come November, making the May 22 Republican primary runoff the critical election day. On the line is more than the replacements for two deeply entrenched Texas moderates. In those House districts, “there are two different armies battling for the soul of the state of Texas,” McNutt said at a campaign event in Corsicana this week. 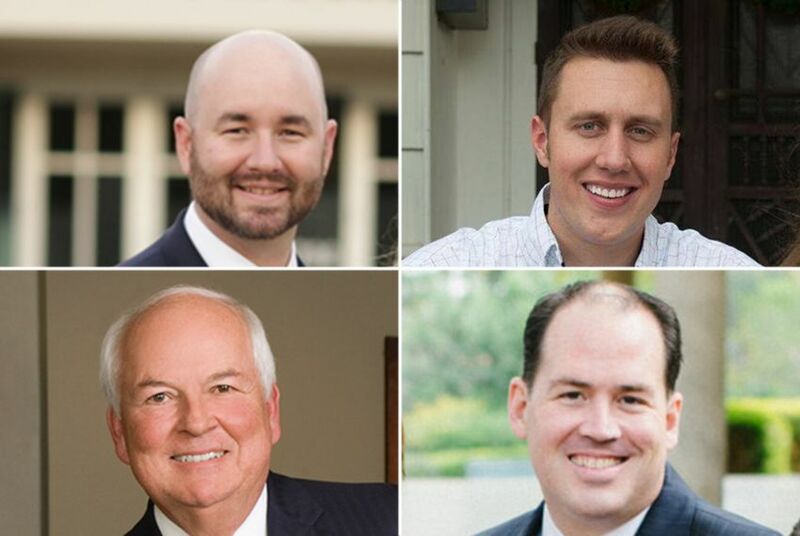 The races fall along familiar battlelines for Republicans in the Texas House: more moderate business Republicans battling social conservatives further right. Allison and Beebe are split on the so-called “bathroom bill” whose failure to pass is Straus and Cook’s legacy; McNutt has called out Harris for giving the measure insufficient support. Candidates in the two races have also feuded over the Second Amendment, support for President Donald Trump and the method for deciding the next speaker of the House. The former challengers’ success or failure in Republican-held districts could be an early indication of the 2019 tilt of the lower chamber: Will it, again, be Straus’ House? Or will it start to better align with the more conservative Texas Senate? The indicators so far are mixed. In the March 6 primary, McNutt finished 6 percentage points behind more moderate Harris, and the third-place finisher has urged the 16 percent of voters who backed her to support Harris. But in San Antonio, Beebe led Allison, Straus’ pick, by a 4-point margin. Both races are expected to be nail-biters next week. At campaign events, the former challengers often sound like they’re jousting against incumbents’ shadows. McNutt, who’s running in the most expensive House runoff, has made that explicit. Unlike Straus, Cook hasn’t formally endorsed in the race, and requests for comment went unanswered. But before the March primary, Cook sent out a mailer encouraging voters to choose between Harris and Linda Timmerman, who finished third. And the incumbent donated $5,000 to Harris’ campaign in January, though he gave more to Timmerman. A couple hundred miles southwest, in the San Antonio race to replace Straus, Beebe has not made the race about the former speaker, at least according to his campaign consultant, Luke Macias. Straus, Macias said, never ran as a moderate, though he governed that way; Allison will lose because he’s running the way Straus ruled. But asking if a candidate will cooperate with the governor is not much different than asking if that candidate is like Straus; the speaker’s legacy, for many of his critics, is obstructing Abbott’s priorities. Straus was censured by the State Republican Executive Committee in January for just that reason. And even if Beebe isn’t making the race about Straus, everyone else seems to be. Allison has touted the speaker’s endorsement. And to hear the San Antonio Express-News tell it, a vote for Allison is all but a vote for the bygone Straus era. “If the House Speaker’s style and policies are what you like, Allison, whom Straus has endorsed, is more likely to fit that model than Beebe,” the local newspaper’s editorial board wrote in its April 26 endorsement of Allison. For his part, Straus has made his support for Allison clear, with both his words and his dollars. “I am grateful for the voters who have supported me through the years, and now we need you to vote for Steve Allison,” Straus said in a statement last month. And a good chunk of the over $1 million Straus said he’s given to “support responsible Republican candidates” this year has found its way to Allison and Harris. From Feb. 25 through May 12, Allison raised $490,000, including $139,000 of in-kind contributions from the Associated Republicans of Texas, a group Straus has backed with several hundred thousand dollars. Beebe was backed largely by the powerful conservative group Empower Texans, which gave him well over $100,000 over the past three months. Warring donations also loom large in the House District 8 race, where over the same time period, McNutt received $300,000 of his $503,000 from Empower Texans, and Harris received about $94,000 from the Associated Republicans of Texas. The financial backers are just one of the indicators of the races’ fault lines; endorsements also lay out the field. McNutt, for example, has won support from Abbott, U.S. Sen. Ted Cruz and former Gov. Rick Perry. Harris, by contrast, has the backing of several former local officials. Jim Keffer, a former state representative who, along with Cook and several others, ousted the former speaker to propel Straus to power in 2009, said even though Tea Party-aligned Texas conservatives don’t have Straus and Cook to battle anymore, winning their seats back is an important symbolic victory.